I signed up for the first SakeSwap hosted by @squampton of Sendai. My June swap partner was announced and I’ve sent my pick so the bottle is already in his good hands. But, I did not send the requested write-up with the following information. 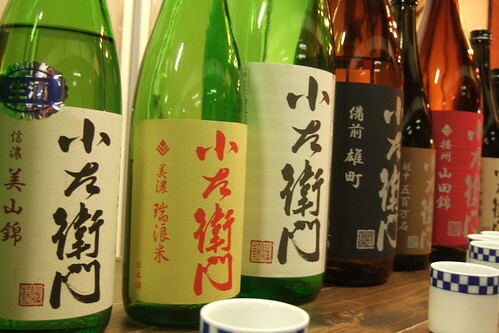 If you can, please include a brief description of the sake (name, origin, type, etc. ), how you were introduced to it, why you like it, and any other useful information (food pairings, etc.). Send it with the package, or by Twitter. Andrew, you opened a can of worms! I don’t know how many tweets it would take, so I am going to do in one post. Anyone else can follow along and try to find a bottle for themselves too. Ready? Why I like it: … well, they are beautiful. Everything about this brewery is beautiful! Kozaemon was featured in an extended 30 page photostory in the latest magazine style sake book in Japanese that came out in April, Nihonshu-no kihon, by Eimuk1721. 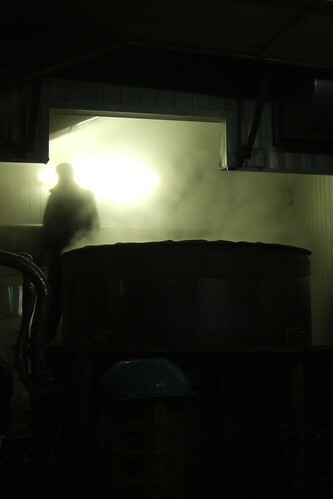 You can see pictures from the brewery and very detailed step by step explanation how sake is brewed there. Hope you take a look at it when you have a chance! I was a big fan of Kozaemon and I became even more obsessed with them after the visiting Nakashima Shuzo. The Kozaemon team is headed by the 14th generation of Kozaemon-san and is brewed by three young sake artists from various backgrounds. They have one thing in common: the philosophy toward brewing and their well balanced sense of respect for tradition and innovation. 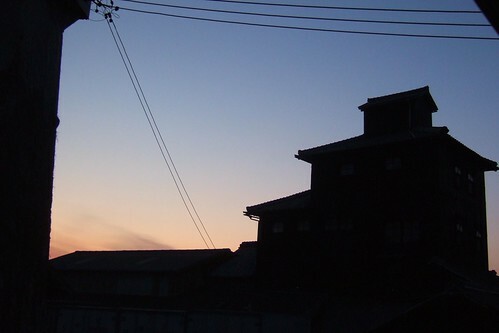 The brewery sits at by the road which used to be one of the trade centers of old main road from Edo period, Nakasendo, that connected Edo and Kyoto going through the valleys and mountains. 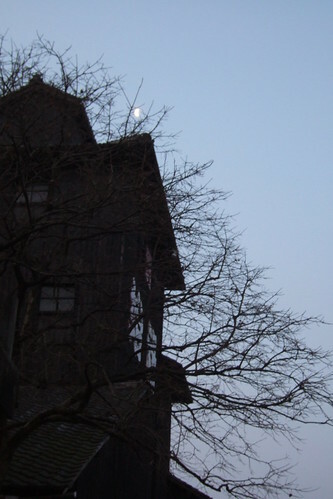 Solemn tall black walls topped with tiles surround the brewery and the wooden gate at the entry to the property reminded me of bukeyashiki or old houses of feudal lords in some cities. 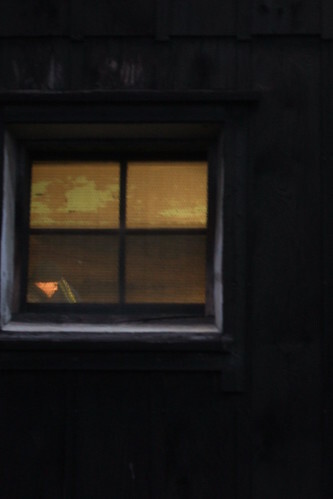 At the beginning of the brewing season, three brewers in their thirties, say good-bye to their families to live at the brewery for six months. 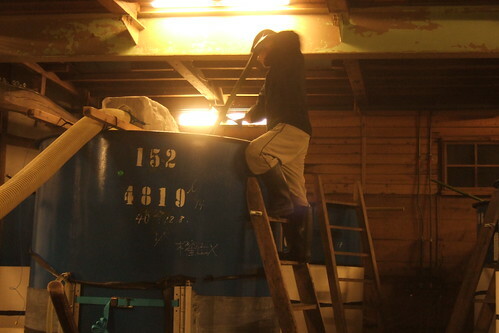 Although their families live close to the brewery, the brewers choose to stick to the old way, and spend 24 hours a day with the Kozaemon family: listening to their foaming babies in the tank or making koji mold grow the right way by shuffling the wooden boxes all night. Their day starts around 5:00 am when they sit at the table for breakfast. They work individually without exchanging too many words, but amazingly, everything gets done seamlessly. 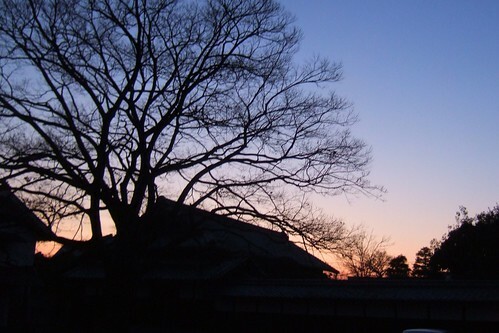 When I stepped in their kura late afternoon in January, after the day’s work was done, I first heard hip hop in a big room full of shubo or sake starter, then jazz. I’ve heard brewing with classical music, but never imagined hip hop! 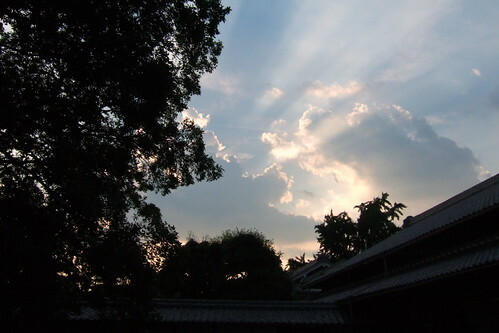 Team Kozaemon is always trying new things, new rice, new brewing methods, and new markets. For example, they had a Kansai version with cardinal red label. And, it was so different from their rather quiet and elegant bottles. The Kansai version was like every color bursting through. One of the crew, Watanabe-san, is from Osaka and he wanted to pursue his flavor. This last season, they attempted the not so commonly used Yeast #8 and found a rice grown by one particular farm in Akita that they wanted to try . In addition to the more industry standard tasting dinners, Kozaemon-san collaborates with top chefs from Kyoto to pair his bottles and present them to us, the consumers. Last time I tasted this particular bottle, Tokubetsu Junmai Miyamanishiki, was in January. So, when I shipped a bottle to @scrumpton, I bought the same bottle for me to taste as well. More tasting notes will follow. Back in January, my note of this bottle said “oishii”, so it’s not so much help! Here are some pictures to explain why I call Mizunami the hottest city in Japan and why I repeatedly say beautiful to describe this brewery. They are really special! Hottest city in Japan. 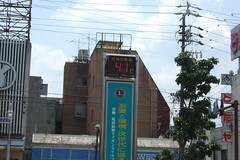 On 7/26/08, this board said 45 Celsius in early afternoon. Thank you so much for this bottle! I’m hoping to crack it open and enjoy it later this month! Enjoy the bottle! Let’s see how long we can wait to get to yours. 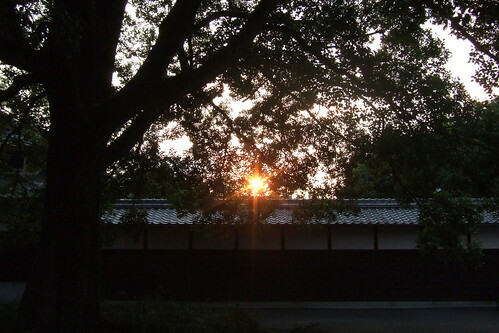 Last night, T hurried home when I gave him a polite warning that the bottle of Hakurakusei may be opened without him!